Australia is a fantastic country to live and work. Whether it is about having high employment rate, good human development index, high standard of living, several livable cities, and outstanding infrastructure, Australia is right on the top of the list. It ranks high on various international parameters of livable countries in the world. There are millions of skilled workers across the world, which aspire to work and settle in Australia on a permanent basis. Australia has a point-based system of immigration. Australia needs at least Competent English (i.e. IELTS 6 score) from the immigrants, however, to get point for language, you need to have proficient English (IELTS 7). Moreover, it’s not just about points; you need good English to communicate with office colleagues, social circle, friends, everywhere. So, make sure you get proficient in the English language before moving to Australia. Keep all your documents in check before you make your move to Australia. The key documents include Skill Assessment Report, IELTS Test results, passport and other documents (i.e. documents and certificates with regards to education, marriage, birth, work experience, etc.). Check your skills and experience. You must have skills and experience, which are highly in demand in Australia. It will enhance your chances of getting a quick and appropriate job in Australia. You may refer to the latest Skilled Occupation List 2016-17 to check if your occupation is in high demand occupation list. If you have contacts in Australia, i.e. friends, family members, relatives, etc. it always goes to your advantage. Having contacts in Australia reduces your stress to a great extent. You get a key help in finding the job, accommodation, etc. in Australia as a newcomer. Moreover, in the company of friends and relatives, you don’t feel isolated in a new country. Your living expenses with regards to groceries, accommodation, transport, utility bills, etc. are likely to be higher, especially, if you are from any of the Asian countries. Hence, you need to prepare yourself for adaptability. Get employed as soon as possible, even if you don’t find job as per your skills and experience, keep your luxuries in control in terms of eating frequently in restaurants (as it can be expensive), be adaptable when it comes to choosing accommodation, clothes, etc. How to get vital support to move to Australia? 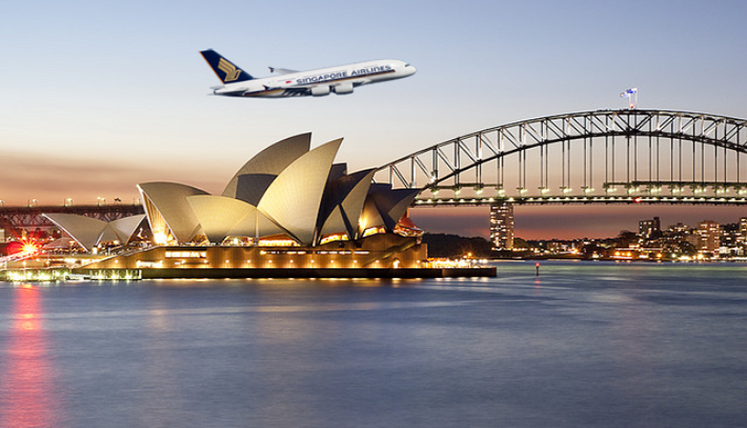 If you are willing to immigrate to Australia, get in touch with the qualified and experienced immigration experts at – Visas Avenue for thorough assistance and support in immigration and visa process. Visas Avenue is a registered immigration advisory company in India with expertise in Australia and Canada immigration. You may talk to the Visas Avenue experts on contact nos. 011-48447777 (Delhi), 080-46668222 (Bangalore), or 040-42467777 (Hyderabad). Moreover, you can also drop a mail at info@visasavenue.com, for any query or feedback.